Canadian distributor and sales agent Raven Banner Entertainment has just announced that Blackburn, renamed THE BLACKBURN ASYLUM, is launching in Canada on VOD. The film was shot at Britannia Beach, British Columbia, just north of Vancouver, by long-time stunt co-ordinator Lauro Chartrand. 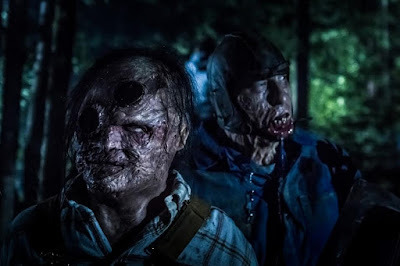 The film stars the Soska Sisters (Jen and Sylvia, “Hellevator”), long time Canadian actor Lochlyn Munro (Poker Night), Emilie Ullerup (A Little Bit Zombie), Sarah Lind and Calum Worthy. All of the Canadian launch details are hosted here. THE BLACKBURN ASYLUM is already available on iTunes and on Shaw-on-demand, in this territory. It is also available via the Playstation Network and XBox Video, also in Canada. The film will launch in more territories, shortly after. Canadian fans can take a look at one of the best horror films of the year, which the UK Horror Scene called “a fun thrill ride,” now! Official synopsis: A forest fire and rock-slide trap five bickering college friends in a small Alaskan ghost town with a horrifying history. When they seek refuge inside the torched ruins of Blackburn Asylum they must fight to survive as the angry inhabitants slaughter the friends one-by-one. 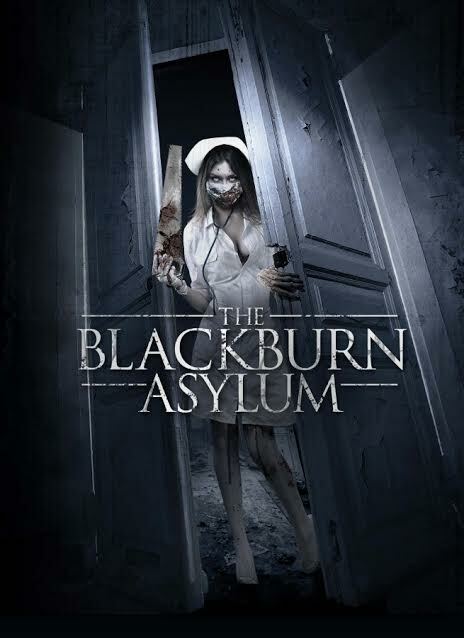 U.K. horror fans can see THE BLACKBURN ASYLUM under its original title BLACKBURN on DVD by Matchbox Films, or via VOD on Amazon.